Hello everyone. Time for another challenge over at the Fab 'n' Funky Challenge Blog. who are giving our prize winner a voucher to spend in store. I had a lot of images to choose from for this theme as I love unicorns, fairies and mermaids! 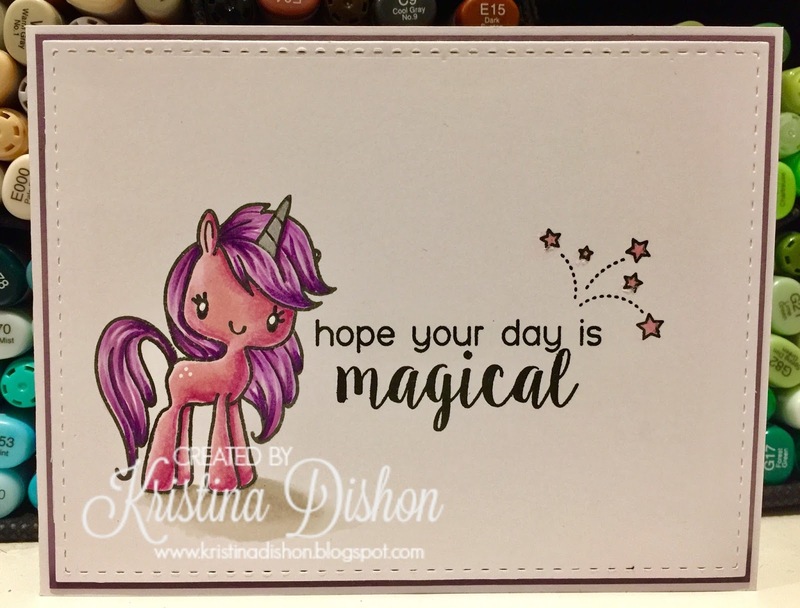 So I picked this super cute unicorn from The Greeting Farm, from a set called Magical Day. I kept it nice and simple, colouring the image with copics. The image is so super cute. What a cutie - love it! Love your Unicorn, it is soooo adorable.